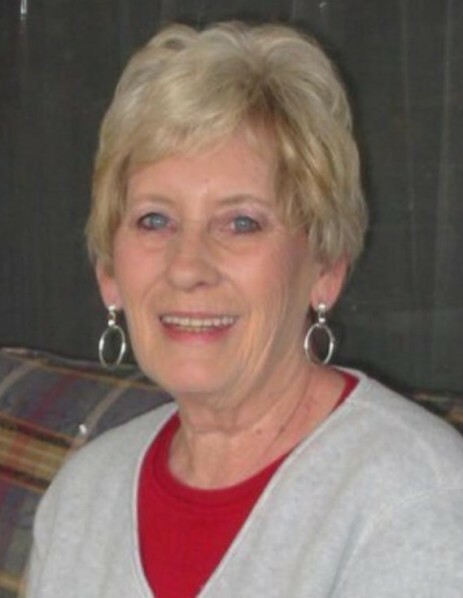 SANTA FE – Mrs. Sandra (Land) Davis Wooley passed from this life Monday afternoon, November 26, 2018, in Texas City. Sandy was born on January 26, 1944 in Waco, TX to Arvel R. and Katie Marie (Fleming) Land. With her father in the Air Force, Sandy’s childhood included traveling to beautiful places like England and Alaska and eventually moving to Texas where she would grow up and graduate high school in Abilene. At age 20, she married her high school sweetheart and started a family, which would be the first of multiple chapters in her life. She spent the next twelve years in Abilene until she felt the need to be closer to the rest of her family in the Houston area. Sandy and her children moved and spent several years in Texas City where she remarried and began making lifelong friends. She would have special outings with her best girl friends to celebrate birthdays and go shopping for antiques. She loved decorating, crafting and making unique items by putting her special touch on everything. Her love for animals was endless. Dogs, cats and donkeys alike were all welcome in her home. She also enjoyed exercise whether it be through jazzercise, jogging or taking dance classes. As her children grew up, she danced her way into the next chapter of her life, where she met the man she would spend the rest of her days with. Sandy never let go of those in her life. Her warm personality and forgiving love brought people together that may have never otherwise crossed paths. She was a perfect example of God’s love and we are forever grateful to have her influence in our lives. Survivors include her loving husband of 25 years, John Wooley, Jr.; children, Shanna Watts and husband, Robert, Cade McCamey and wife, Kristen, Jay Wooley and wife, Stephanie, Leslie Sheppard and husband, Scott; brothers, Craig Land and wife, Bonnie, Jeff Land and wife, Karen; sister, Melissa Kirkwood; grandchildren, Brayden Watts and Trace Walton, Brindin Watts, Gunnar McCamey, Tera Beshears and husband, Jeramiah, Christian Wooley, Hannah Wooley, Clay Sheppard, Hailey Sheppard and Carson Wooley; great-grandchildren, Jaxon Walton and Waylon Walton; Extended family, Trinity Haacker, Eian Haacker and Daniel Beshears; numerous nieces, nephews and an abundance of other family and friends. Visitation with the family will be from 1:00 – 3:00 p.m., Saturday, December 1, 2018, in the chapel of Hayes Funeral Home, 10412 Highway 6, Hitchcock, TX (409) 925-3501, with a service to begin at 3:00 p.m. with Mr. Justin Kirkwood officiating. Interment will follow at Hayes Grace Memorial Park Cemetery. Pallbearers will be Cade McCamey, Brindin Watts, Rob Watts, Trace Walton, Jay Wooley and Scott Sheppard. Honorary bearers will be Gunnar McCamey, Jaxon Walton and Waylon Walton.